DGA director Regina Ainsworth on the set of Recombined. As I described in my post Movie to Books to Movie to TV, I’ve been working with director Regina Ainsworth with an eye toward pitching my young adult sci-fi novels, the Tankborn trilogy, as a television series. Regina suggested we needed a visual expression of Tankborn‘s world as part of our pitch. To that end, I wrote the short script, Recombined, while Regina built relationships, raised funds, and gathered cast and crew who were as passionate about the project as we were. We shot the film December 1st, 2018 on one long (and very cold) day in Burbank. I’ve written a number short scripts and have seen three of them made into films, but other than one SAG actor in one of those films, cast and crew were amateurs. The cast of Recombined were all SAG-AFTRA, and we had a professional union crew. 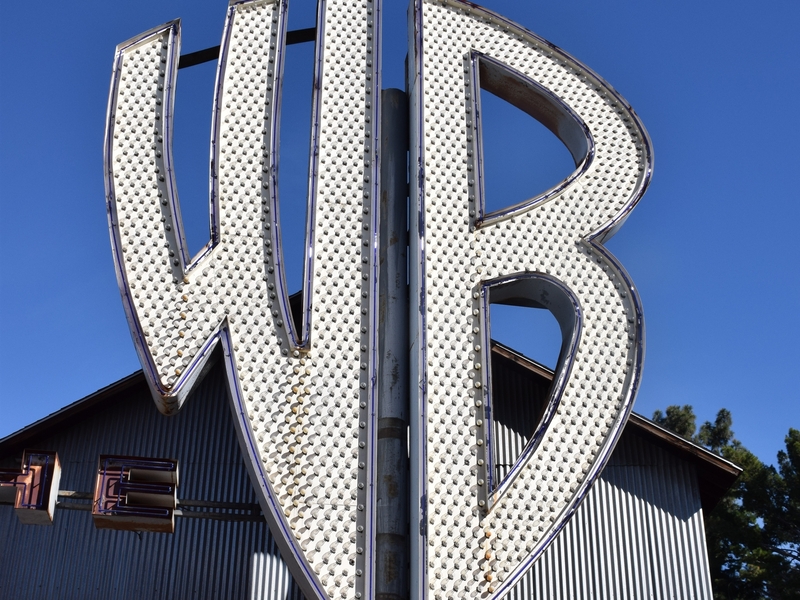 The shoot took place at Warner Bros. Ranch, just down the road from Warner Bros. main studio. It’s where the iconic Friends was shot, and it’s currently the home of Veronica Mars. It was an unusual arrangement allowing us to shoot a short film on the Warner Bros. Ranch lot (one of the security guards said “That never happens”), and we were all so grateful for the opportunity. The cast and crew blew me away with their performances and dedication to the film. As screenwriter, my main role was to consult on the script as needed. I also volunteered to be amateur stills photographer (we also had a pro, Molly White, taking stills). I entertained myself by getting pictures of the action between shots. Most gratifying for me as the author of the Tankborn novels was seeing my characters come alive. The lead actor, Naïma Hebrail Kidjo, did an amazing job breathing life into my main character, the GEN (Genetically Engineered Non-Human), Kayla. I loved how the makeup/hair artist, Alexandra Bayless, created the GEN tattoo on the GENs’ cheeks and how she did Naïma’s hair for her role as Kayla. Naïma Hebrail Kidjo (Kayla) in the makeup chair getting her hair braided and standing for a shot in front of the blue screen. The script is loosely based on a “wedding” scene that I’d originally written for Tankborn which never made it into the final published book. With several modifications, the scene became the script for Recombined. Since I started from my own source material, I had the freedom to add any necessary characters, including the GENs Gaddiel and the Intercessor who officiates the wedding (joining). Recombined is now in post-production, Regina working hard on putting together in a cohesive way the jigsaw puzzle of the shots we got that day. I can’t wait to see the final product. Content copyright © Karen Sandler. All rights reserved.